Thor: Ragnarok did something that most people thought was impossible: It was a good movie about Thor. Writer/director Taika Waititi's unique comedic vision (as displayed on HBO's Flight of the Conchords and in the 2014 cult classic What We Do in the Shadows) carried over into the superhero genre in ways that nobody quite expected, bringing some much needed levity to a franchise that was way too heavily steeped in self-seriousness for being about a guy who's great at hitting things with a hammer. It struck a great balance between laughs and drama, and audiences and critics across the world loved it, slapping the film with a Certified Fresh rating on Rotten Tomatoes and grossing $850 million for fledgling indie film company Marvel Studios which, let's face it, needed a win after only pulling $1.7 billion with its other two releases that year. 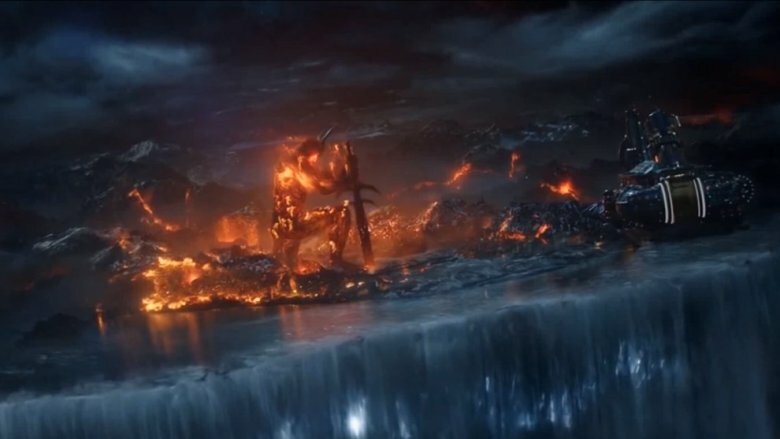 Even with the surreal humor, epic action sequences, and heaping scoop of Goldblum that Ragnarok provided, though, there were still a few plot holes that left some of us feeling more than a little confused. Maybe Korg was right. Maybe the only thing that made sense was that nothing made sense. 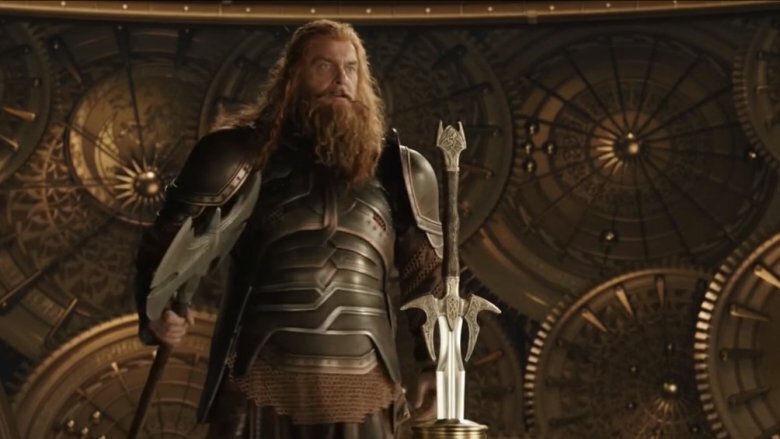 Regardless, let's take a look at some of the more glaring weirdness in Thor: Ragnarok, a story about space gladiators and interstellar vikings. Thor is a beast, no two ways about it. He's a centuries-old god who smacks dragons around and whallops the undead like he's playing Whac-A-Mole. He fears nothing. Except, as it turns out, maybe joy buzzers. We've seen Thor glance off blows from alien guns, ride a space worm through Manhattan, and take a blast from the Asgardian Destroyer. 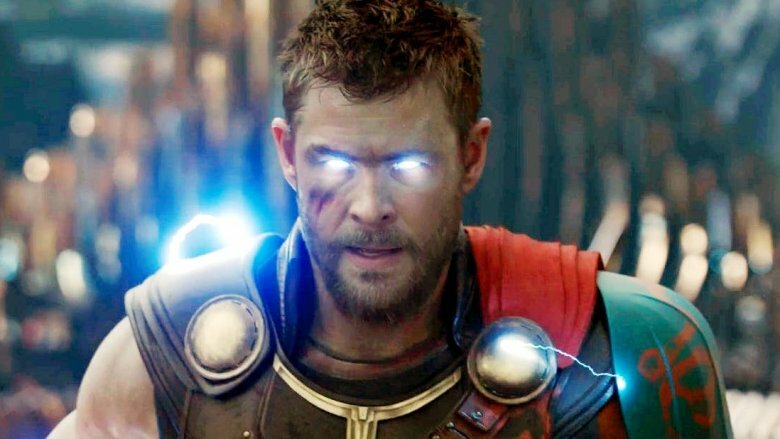 In Thor: Ragnarok, we're introduced to his one true weakness: stun guns. Every superhero needs an Achilles heel, but it's a little disappointing when it turns out that the God of Thunder is susceptible to a good tazing. It's double confusing since his body is the Norse equivalent of a holy blonde Tesla coil. It's important not to ask too many questions when it comes to comic book movies, but for real. 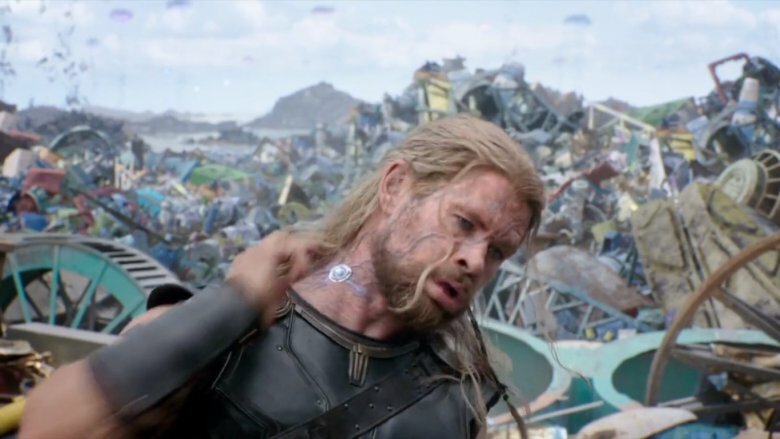 How has Thor made it 1,500 years without being taken out by an overzealous neighborhood watch enthusiast or a guy in wool socks rubbing his feet on the carpet? How did you miss that? Loki's a mess, but the guy knows how to make friends with the guys in charge. From his Avengers quasi-team-up with Thanos to the centuries he spent warming up to Odin, he seems to take a lot of pride in jamming with the higher-ups (and then, generally, trying to kill them.) In Ragnarok, he's just as pleased as punch to have spent a few months cozying up to the Grandmaster, a capricious Space Goldblum who loves two things: zany hijinks and watching his champion smash. So if Loki's been hanging with this guy for that long, how does he not know that Hulk is his champion? 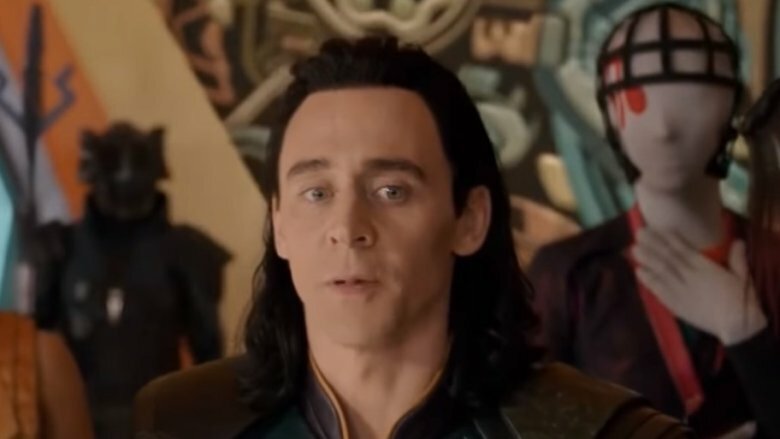 It made for a great reveal, but it seems like a stretch that Loki, who has a VIP box seat at the arena match, hasn't met the Grandmaster's favorite athlete yet. Grandmaster doesn't come off as the kind of guy that would go that long without getting his gladiator on, and Hulk doesn't strike you as someone who'd stick around if he had to wait months to wreck some puny humans, or aliens, or Dougs. 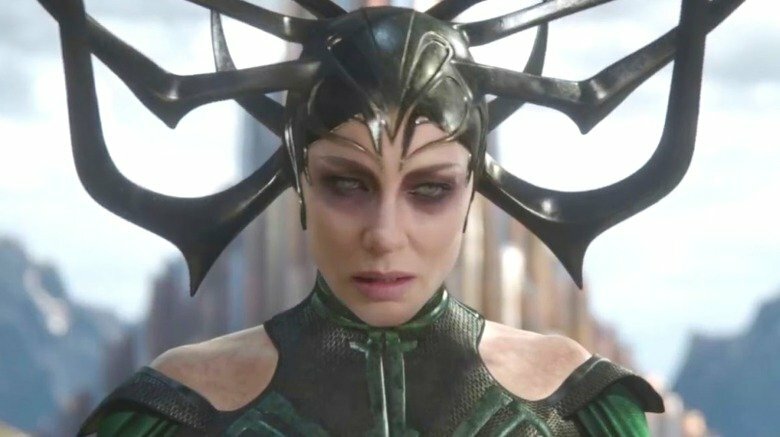 In one of the movie's rare non-comedic moments, a dying Odin tells Thor that Hela gets her power from Asgard, just like Thor does. It's a heartfelt speech, and it adds a little enigmatic universe-building to the story. At the end of the film, Thor realizes Asgard is a people, not a place. Again, touching. Home, after all, is where the heart is. It's not a patch of land or a collection of architecture. It's the folks you love. Sweet. Practically in the same sentence, though, Thor says that the plucky Revengers have to destroy Asgard (the place). Only by doing this will they drain Hela of her powers. But Thor won't lose his powers, because he'll still have Asgard (the people) safely aboard Asgard (the ship). It all makes perfect sense if you ignore it. And by "it," we mean "Asgard" (the plot point). Does anybody have an aspirin? The Bifrost Bridge is a staple of the Thor franchise. Fans of Norse mythology know it as a literal rainbow bridge. Followers of the Marvel comics remember it as a trippy, astonishingly dorky-looking literal bridge made of rainbows. Luckily, once it made the transition to the big screen, the Bifrost was a much more visually palatable shiny light tunnel … thing. Through all its incarnations, it's been a crucial part of the Thor universe, transporting gods from one side of space to another nearly instantaneously and serving as the gate to the most advanced civilization on the planet. And they staff it like they're hiring at Cinnabon. 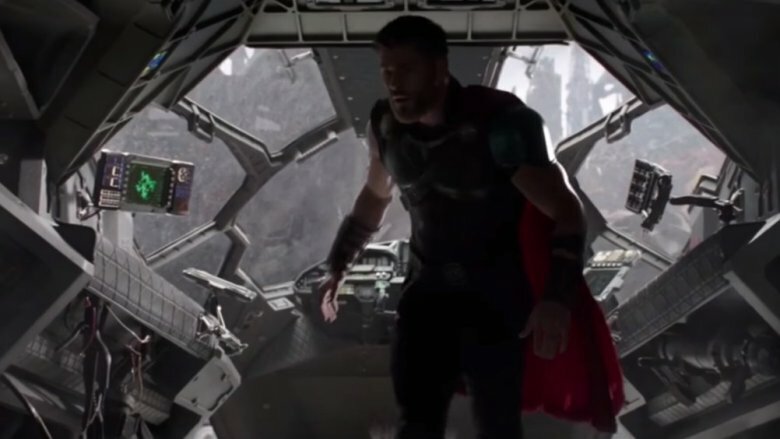 The first time we see the Bifrost being operated in Thor: Ragnarok, it's with Skurge manning the controls. He's not handling things very well. He's got time to lean and relax, which might be why he's reassigned to janitorial duties later in the movie. Maybe he's just not giving it enough juice, but man, does it take a while for that thing to get anybody anywhere. The next group that's given a shot at the helm are two-thirds of the Warriors Three. They manage to get that puppy working faster. Bummer that they didn't check the incoming cargo, since "a hot load of Hela stabbings" was on the manifest. Think about some of your oldest friends. Sure, you love them, but you also fear them. They know everything about you. Your deepest fears. Which Taylor Swift song gets stuck in your head the easiest. Where your mom keeps the baby pictures. It's almost impossible to keep history buried when you hang out with people who were there for most of it. Which brings us to our next point. 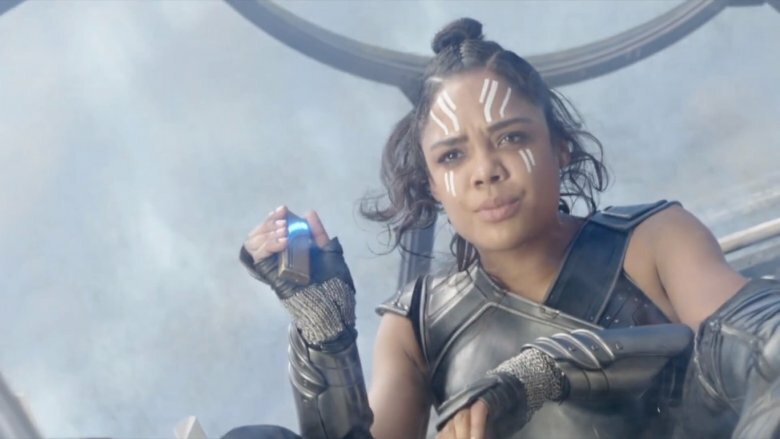 In a race of borderline immortals, how is it possible that Valkyrie is the only one who remembers Hela, the Chihuly-headed smackdown layer that took out an entire Asgardian special forces unit and, before that, freaking conquered the universe? In fact, what was even the point of Odin trying to cover that up? That'd be like Paul McCartney pretending he'd never heard of the Beatles and hoping everyone would just go with it. Nobody thinks you got famous because of Wings, Odin. Pull it together, man. Who took guns off the table? Hela: Goddess of Death. Certified day-ruiner. A heathen mess machine so lethal that Odin the Allfather locks her in a dimensional rift for fear of what she could do. When she arrives in Asgard, you know some stuff is going down. She's the Asgardian Godzilla. Time to send in a response team. 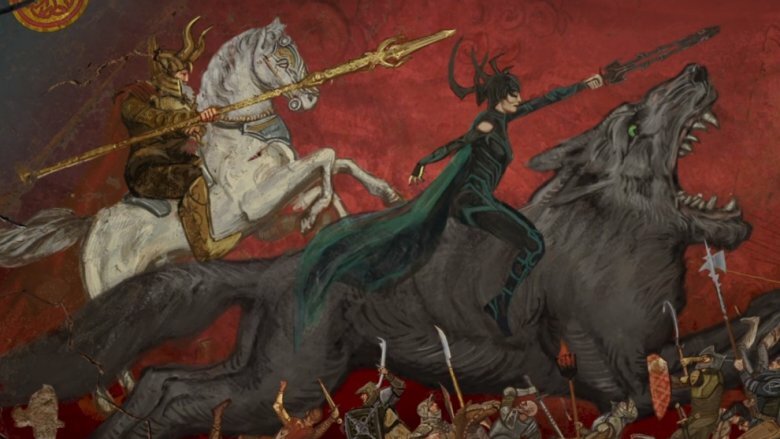 Hela is shortly confronted by the Asgardian army, conquerors of the nine realms, the mightiest military in the universe. And how do they decide to approach the issue? Disproportionately armed with swords, that's how. Keep in mind, we're not talking magic swords. Every unstoppable space viking that clocked into work that day showed up with a uniform sword-shield combo. Guys, you've got interstellar travel down to a magical science. Swords should've been obsolete about a thousand steps ago. We're not pretending to be tactical experts and Hela would have wrecked you anyway, but it seems like Day One stuff that soldiers kill stuff better when they don't have to stand 2 feet away from it. Things are rough on Sakaar. The Grandmaster rules with an iron melt stick, and your everyday Joe has to pick over the scrap yards just to get by. Heck, when Thor shows up, the first things someone asks him is whether he's a fighter or food. Not a lot of career opportunities under this administration, basically. So how is it that a perfectly good (if lightly Hulked) Quinjet went entirely unscavenged for two whole years? Is there just no market for militarized miracle jets in this war-torn dystopia? Now, perhaps the scrappers didn't feel comfortable taking a pry bar to anything the Hulk marked as his own, but frankly, the crabby green giant didn't seem particularly attached to his old ride. How did that ship make it all that time without getting the car-stereo-in-an-unlocked-sedan treatment? Or, barring that, how'd it go so long without Hulk doing what Hulk does best and making with the smash? Imagine going to a Sprint store to buy a new phone. The salesman walks you through the gadget's features and explains why it's the best phone for you. Then he tells you he gets to keep a remote control that'll let him switch off your phone whenever the mood strikes him. In simplified terms, that's what Valkyrie did when she held onto Thor's shock collar button after she sold him to Grandmaster. Why did Valkyrie get to keep a Thor zapping button after she pawned him off? Does everyone have one of those? Wouldn't that mess with gladiatorial matches, if everyone and their mom could send whichever fighter they wanted into an electric coma at the push of a button? Also, isn't she drunk all the time? A shock collar is a responsibility. She doesn't seem like the kind of person you want walking around with a pocket full of neck lightning.